The George School Community is mourning the loss of Samuel (Sam) Snipes, a former trustee (1978 – 1990), father of Deborah Snipes Hale ’69, Sally Snipes Wells ’70, Samuel (Randy) M. Snipes Jr. ’75, Jonathan R. Snipes ’78, and Howard T. Snipes ’81. Grandfather to Eliza C. Hale ’02, Rachel A. Wells ’07, and Charlotte H. Wells ’11. 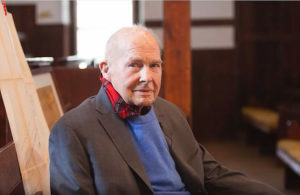 He passed away on Monday, December 31, 2018. He was 99. Read more. 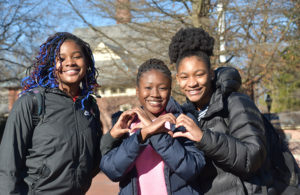 George School has kicked off the Great Green Give, a massive fundraising challenge culminating on Friday, February 8, 2019. This year, we’ve been challenged to generate gifts from 900 donors by 11:59 p.m. EST on February 8, in order to unlock a $50,000 gift to the school. Read more. For Jake McNichol ’12 skating was a big part of his childhood. 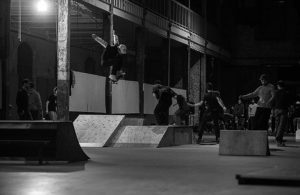 “I started skating when I was twelve,” he said. “It taught me to think creatively, set goals, and work hard to achieve them.” Read more. 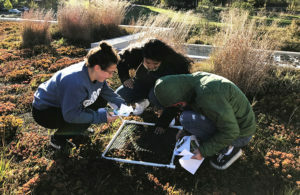 The George School Board of Trustees announced its third Green Initiative Contest for students. The contest invites students to submit proposals for an environmental stewardship project. Read more. 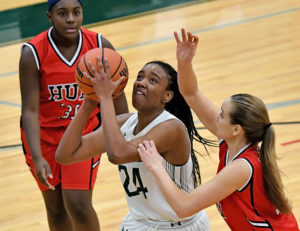 George School varsity girls’ basketball defeated The Hun School 45-38 at their first home game of the season on Tuesday, December 18, 2018. Read more. Show your LOVE for George School by making a gift for the #GreatGreenGive! Help us reach 900 donors by February 8 and unlock a $50,000 challenge gift.